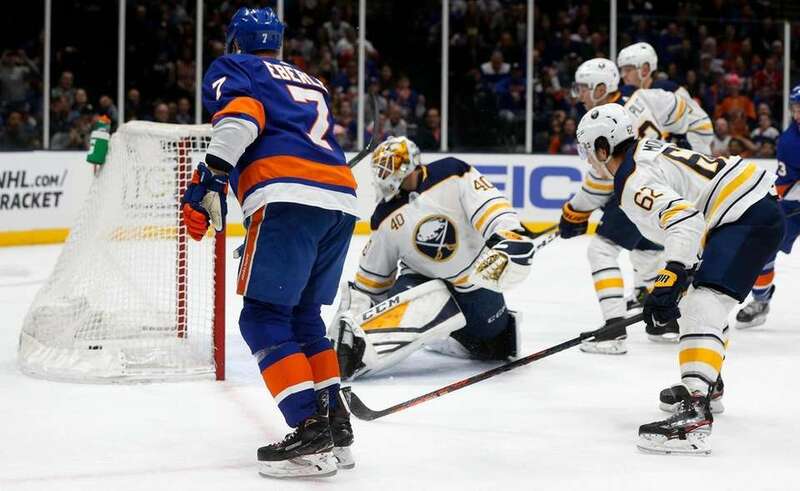 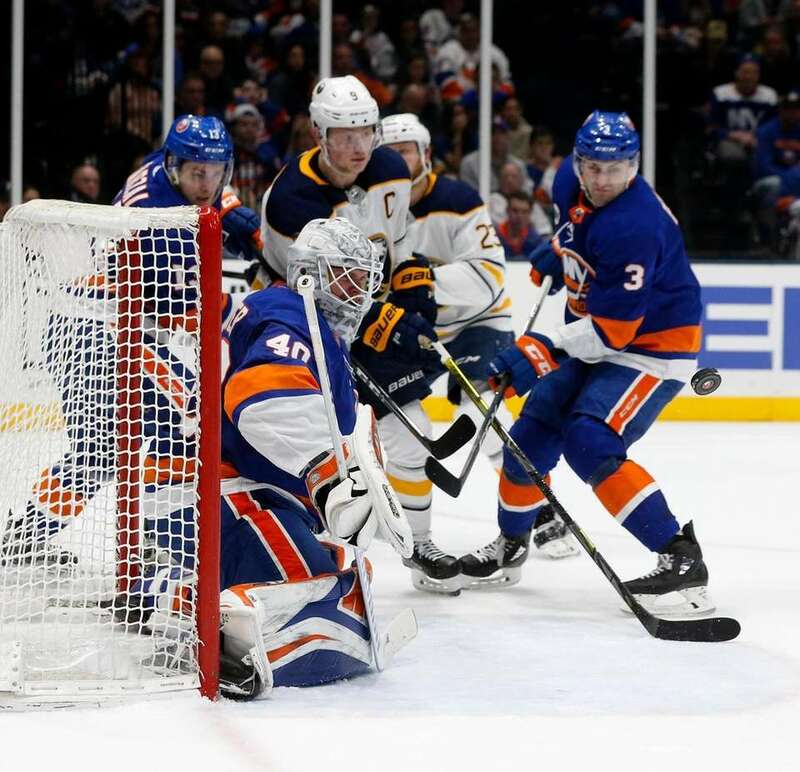 Scenes from the New York Islanders vs. Buffalo Sabres game where the Islanders defeated the Sabres, 5-1, and clinched a playoff berth for the first time in two years at NYCB Live's Nassau Coliseum on March 30, 2019, in Uniondale, New York. 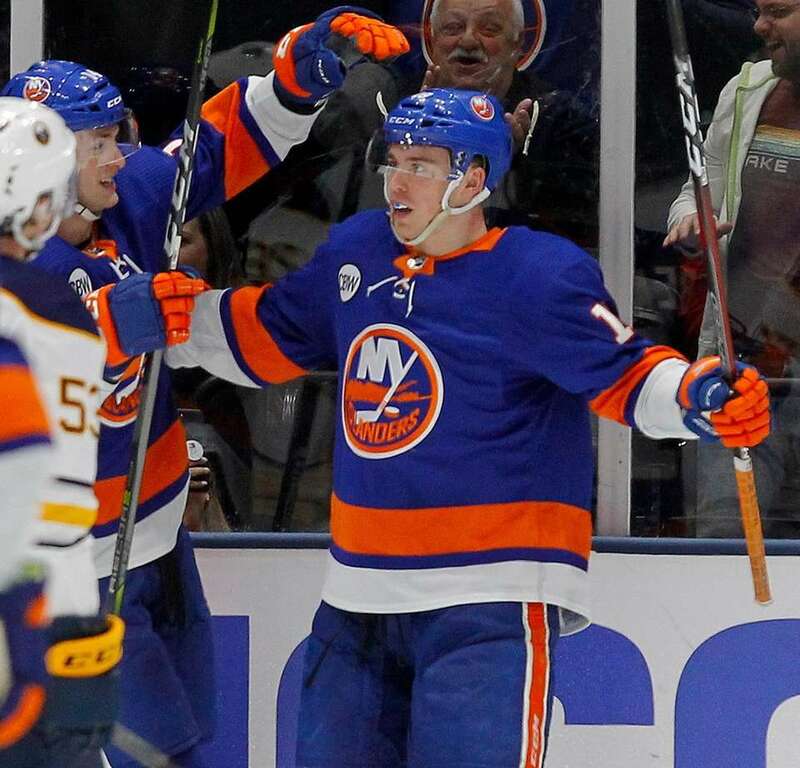 Anthony Beauvillier #18 of the Islanders celebrates his second period goal against the Buffalo Sabres at NYCB Live's Nassau Coliseum on March 30, 2019, in Uniondale, New York. 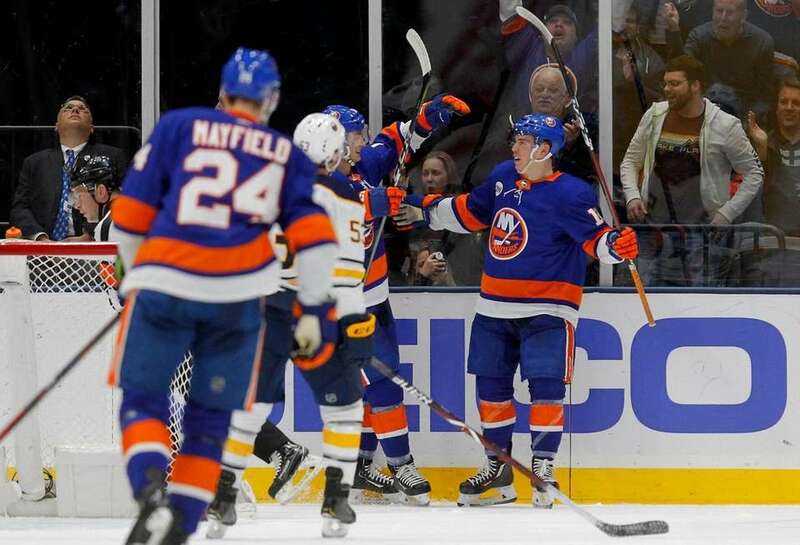 Ryan Pulock #6 of the Islanders celebrates his third period goal against the Buffalo Sabres with teammate Casey Cizikas #53 at NYCB Live's Nassau Coliseum on March 30, 2019, in Uniondale, New York. 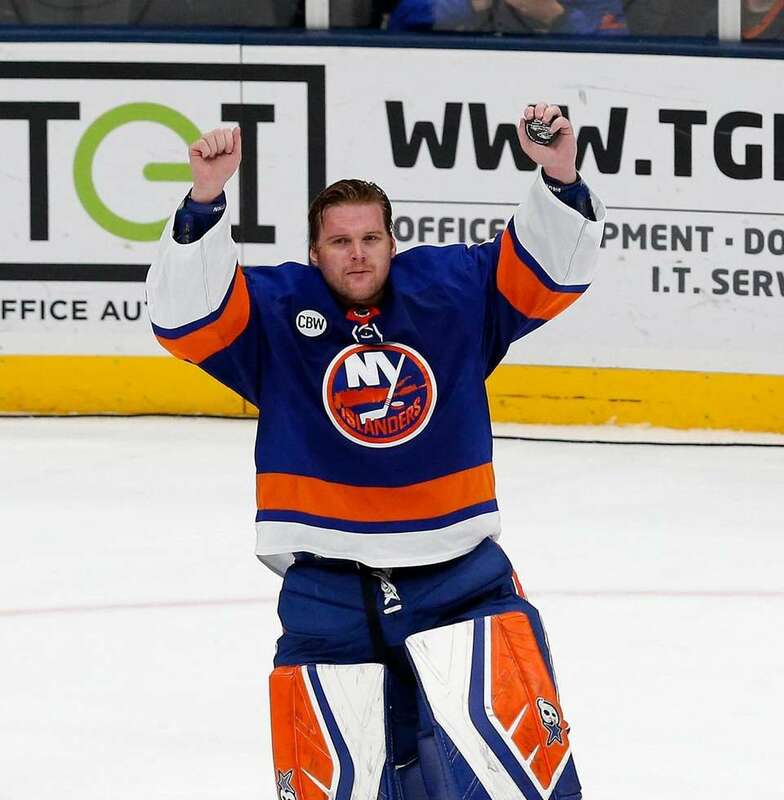 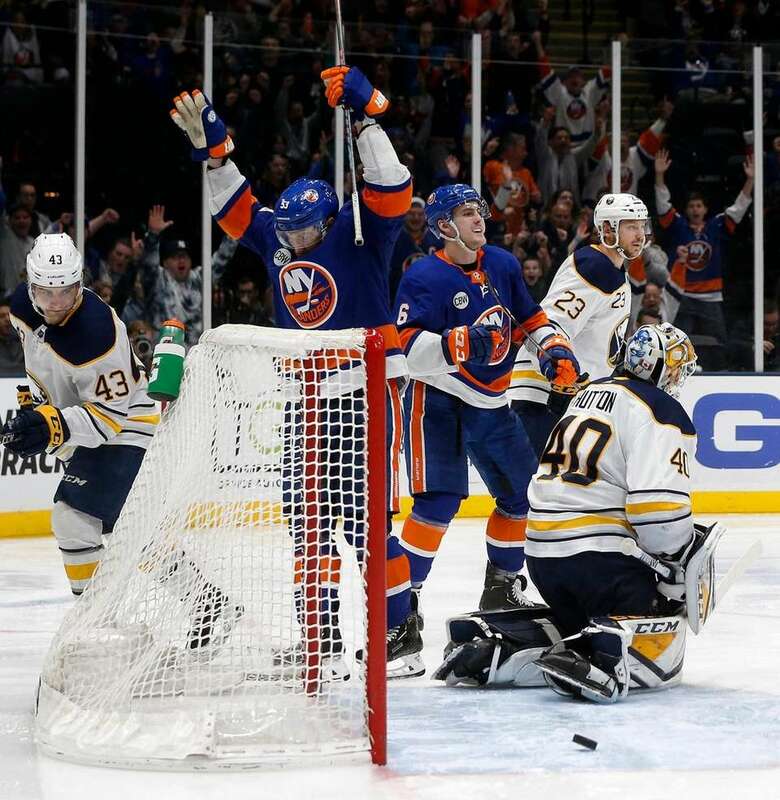 Robin Lehner #40 of the Islanders celebrates after defeating the Buffalo Sabres at NYCB Live's Nassau Coliseum on March 30, 2019, in Uniondale, New York. 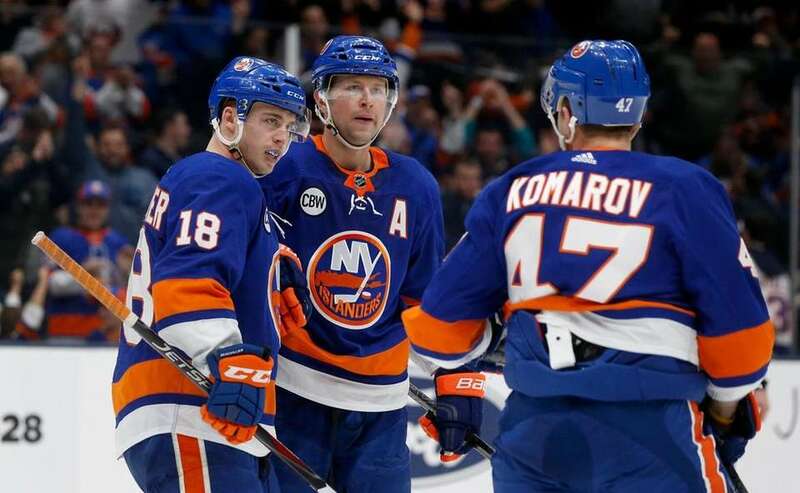 Anthony Beauvillier #18 of the Islanders celebrates his third period goal against the Buffalo Sabres with teammates Josh Bailey #12 and Leo Komarov #47 at NYCB Live's Nassau Coliseum on March 30, 2019, in Uniondale, New York. 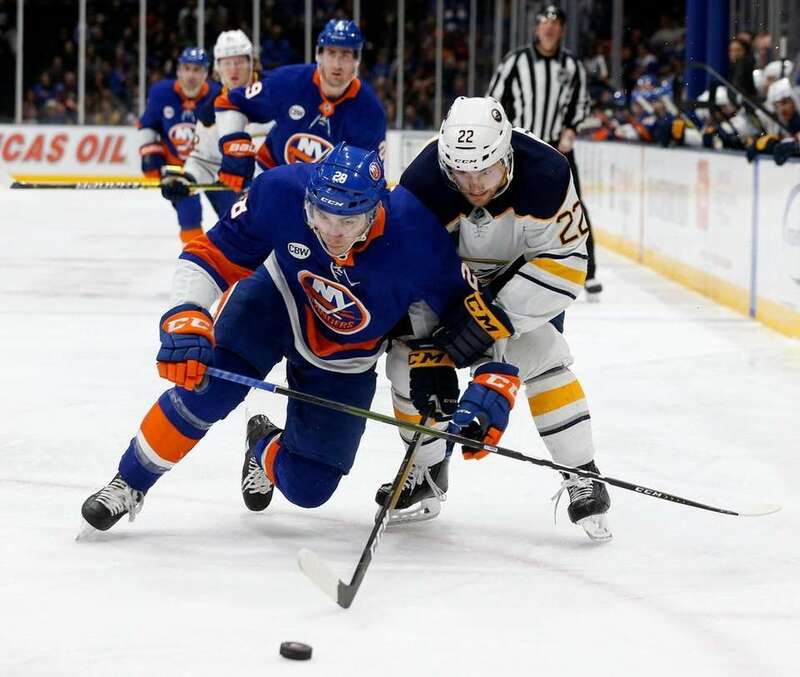 Michael Dal Colle #28 of the Islanders battles for the puck in the first period against Johan Larsson #22 of the Buffalo Sabres at NYCB Live's Nassau Coliseum on March 30, 2019, in Uniondale, New York. 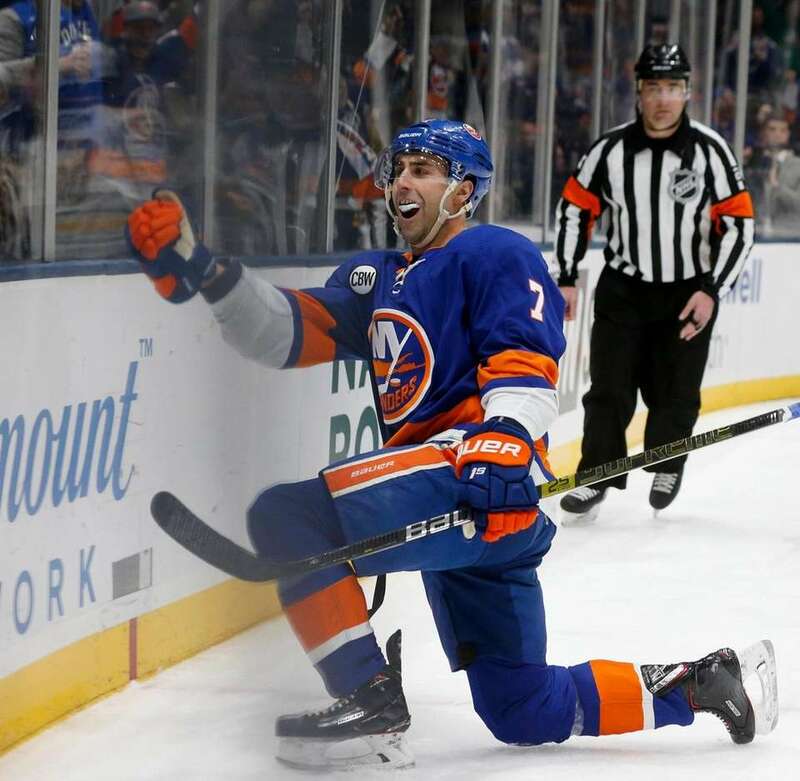 Jordan Eberle #7 of the Islanders celebrates his first period goal against the Buffalo Sabres at NYCB Live's Nassau Coliseum on March 30, 2019, in Uniondale, New York. 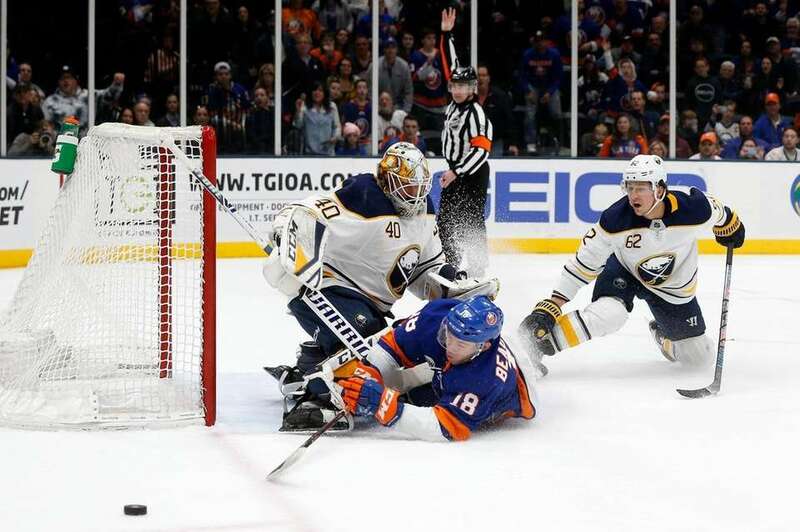 Anthony Beauvillier #18 of the Islanders crashes into Carter Hutton #40 of the Buffalo Sabres after he was tripped up by Brandon Montour #62 drawing a penalty shot attempt in the first period at NYCB Live's Nassau Coliseum on March 30, 2019, in Uniondale, New York. 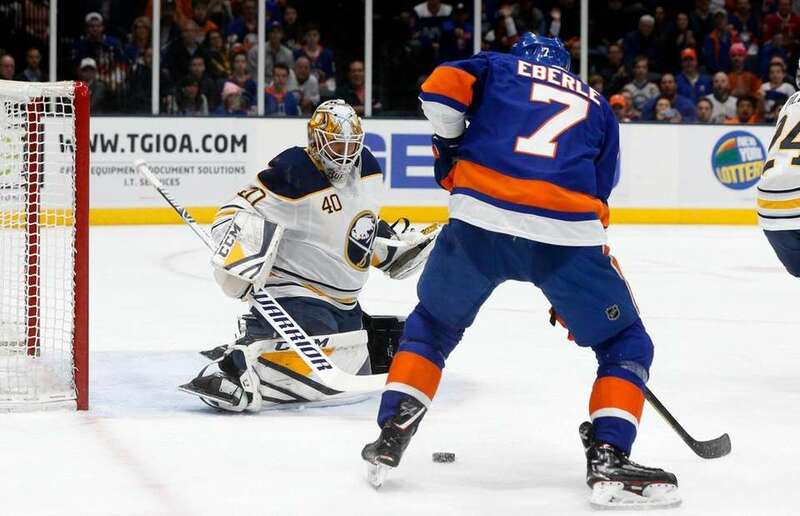 Jordan Eberle #7 of the Islanders scores a goal in the first period against Carter Hutton #40 of the Buffalo Sabres at NYCB Live's Nassau Coliseum on March 30, 2019, in Uniondale, New York. 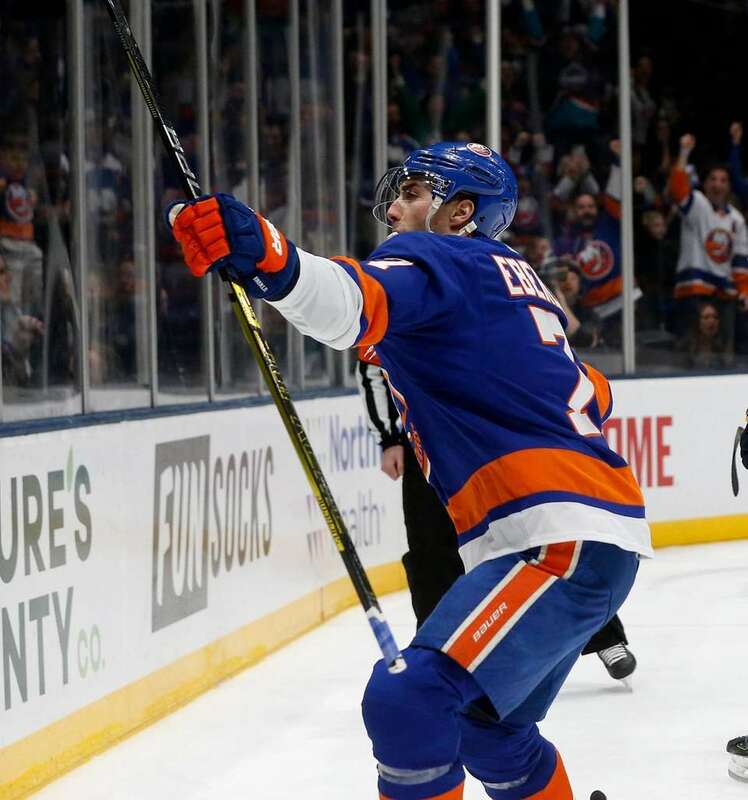 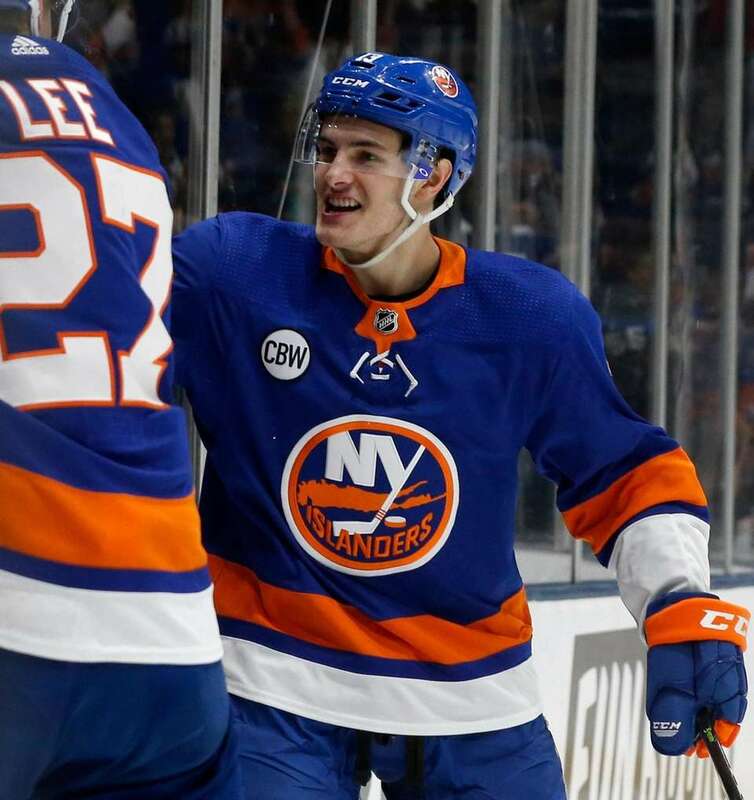 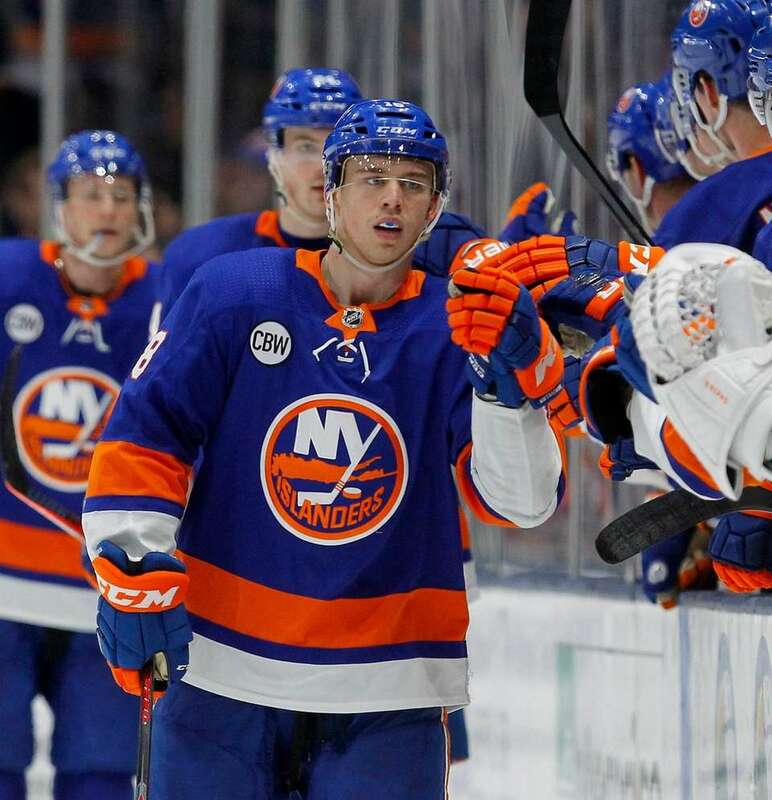 Mathew Barzal #13 of the Islanders celebrates goal in the first period scored by teammate Jordan Eberle against the Buffalo Sabres at NYCB Live's Nassau Coliseum on March 30, 2019, in Uniondale, New York. 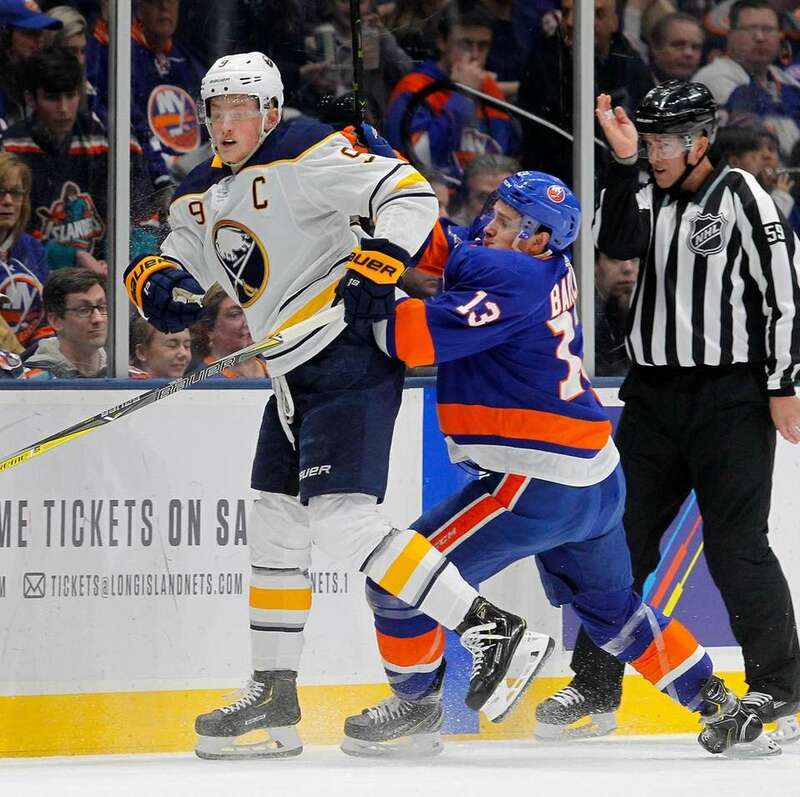 Mathew Barzal #13 of the Islanders defends against Jack Eichel #9 of the Buffalo Sabres during the first period at NYCB Live's Nassau Coliseum on March 30, 2019, in Uniondale, New York. 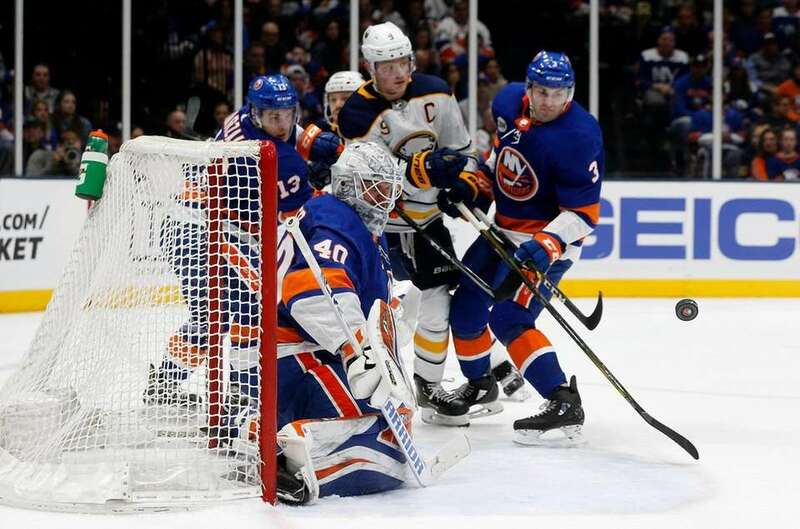 Robin Lehner #40 of the Islanders makes a save during the first period against the Buffalo Sabres at NYCB Live's Nassau Coliseum on March 30, 2019, in Uniondale, New York. 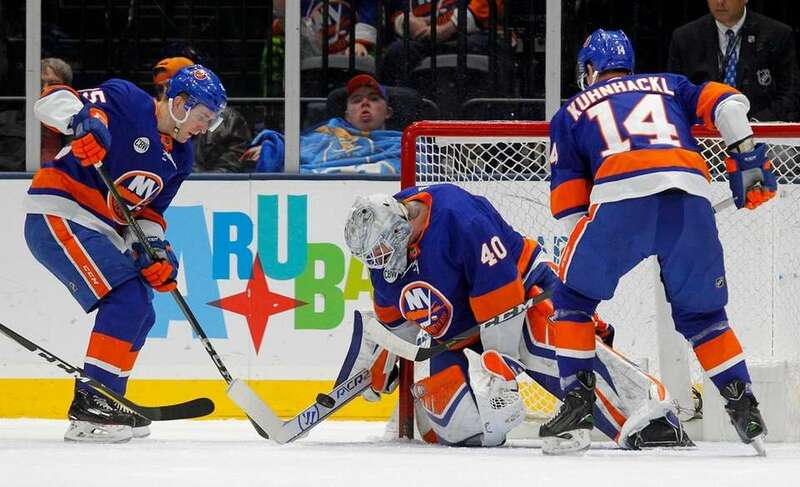 Robin Lehner #40 of the Islanders makes a save during the second period against the Buffalo Sabres at NYCB Live's Nassau Coliseum on March 30, 2019, in Uniondale, New York. 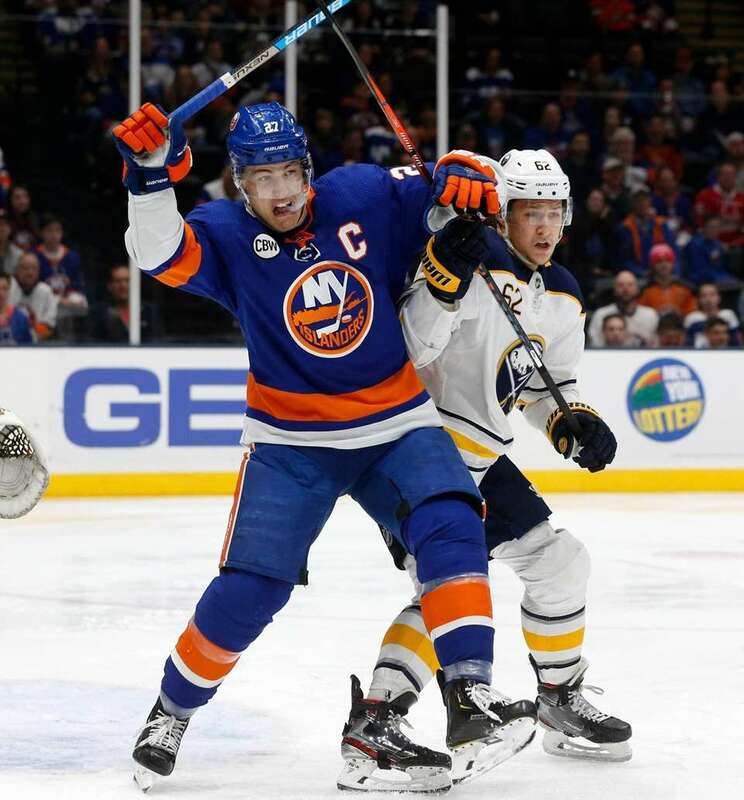 Anders Lee #27 of the Islanders battles for position during the first period against Brandon Montour #62 of the Buffalo Sabres at NYCB Live's Nassau Coliseum on March 30, 2019, in Uniondale, New York.